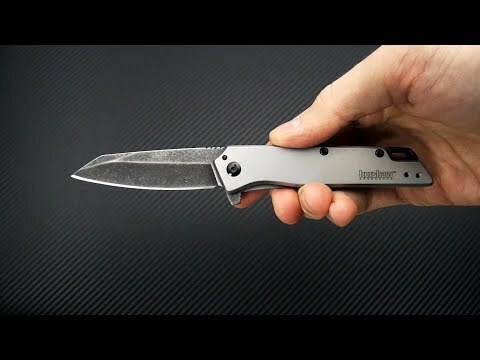 The Kershaw Knives Misdirect is an assisted opening mid-sized folder designed to tackle your everyday cutting tasks and look good doing it. 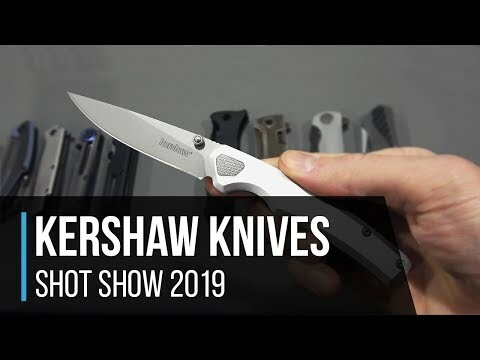 As part of the Kershaw Starter Series, this value-priced folder offers solid construction, design and components without breaking the bank. Perfect as an everyday beater or starter knife with a clean and modern appeal. The Blade: SpeedSafe assisted opening and integrated flipper tab allow fast and easy deployment of the reverse tanto styled blade. Black-oxide coated and tumbled to achieve Kershaw's attractive and effective BlackWash finish - not only does this finish look great, but it also hides wear and scratches. The Handle: Sturdy bead-blasted stainless steel slabs have been machined to form both the show side as well as the frame lock back. Kershaw logo laser engraved on front side plays well with the sleek design lines. Textured polymer backspacer transitions to large hole for lanyard attachment. Stainless steel pocket clip attached for 3-position carry (right/left, tip up; left, tip-down).